Although it adapts easily, its nesting areas have been reduced due to mountain orchards being abandoned and agricultural intensification. Illegal hunting during migration also represents an important problem. 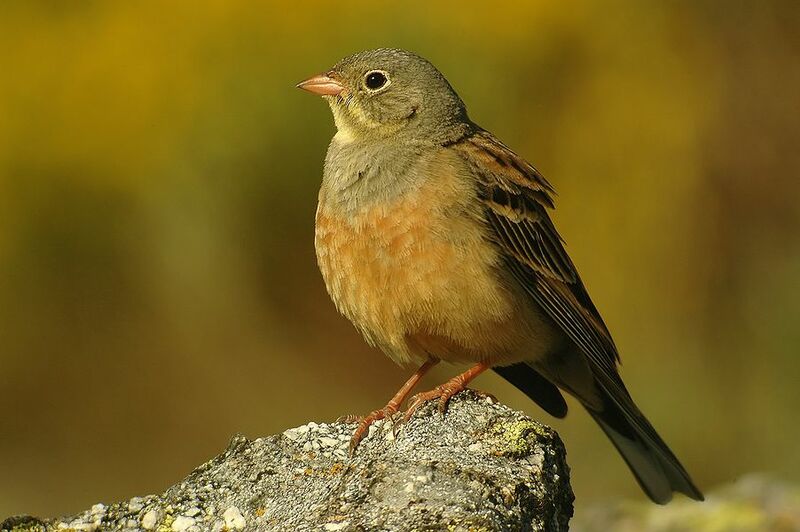 Identification: Medium-sized bunting that is characterised by its yellow throat, moustache and eye-ring. Its back and wings are brown with lots of black stripes, and its belly is reddish-brown (softer in males, speckled in females). In mating males, the rest of the head is greyish, and this colour extends to the breast. Song: Its call conists of short and alternating "slee" and "choo" sounds. Its song is more together and faster, "chooee chooee chooee chooooo". Diet: It eats on the ground, primarily consuming grasshoppers, crickets, ants, spiders and beetles. Outside mating season, it also eats seeds. Reproduction: The breeding period is short and synchronised, beginning in May and ending in July. The nest is located in a safe area on the ground and the female incubates the eggs. Both parents participate in feeding the chicks. It prefers open areas with shrubs and scattered scrubland, from which it sings. It is found up to an elevation of 2,400 metres in the Pyrenees. In Spain: Limited to the northern part of the peninsula, except for a population in Sierra Nevada. 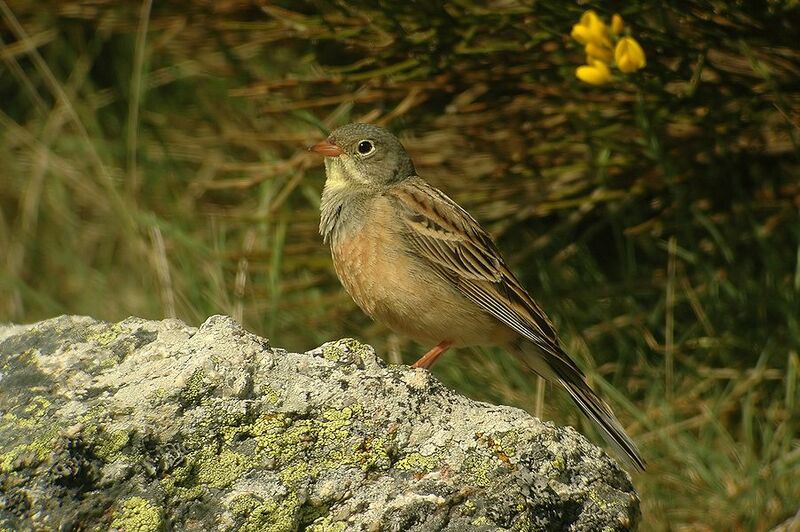 In Castile and León: Rare in the central area of the community and numerous in the mountainous areas of León and Zamora. In Segovia it is distributed above an elevation of 1,300 metres. Movements and migrations: It is a migrating species that travels great distances. It winters in tropical regions in Africa. 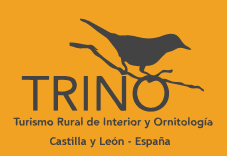 In Spain: There is an estimated population of 200000-250000 breeding pairs.